I finally felt that extra bit of chill in the air as I stepped outside in this outfit (truth time: I was wearing a coat but took it off for pictures -- sacrifices, people). There's no denying that it's been chilly, but you know what I mean when I say that, at a certain point, you can really feel that underlying cold that's ever so slowly making itself at home for the next few months. In my opinion, an entirely too long few months. And if you listen close enough, you can almost hear it taunt you because it knows it's the reason you'll be making that pit stop into Target after work to stock up on tights for the season. In other news, and because I'm really into switching things up (#sarcasm), I figured I'd go with blue and red buffalo plaid today as opposed to the more tartan-esque pattern I've been wearing non-stop. Are you finally convinced that it's become an obsession? Sorry I'm not sorry! 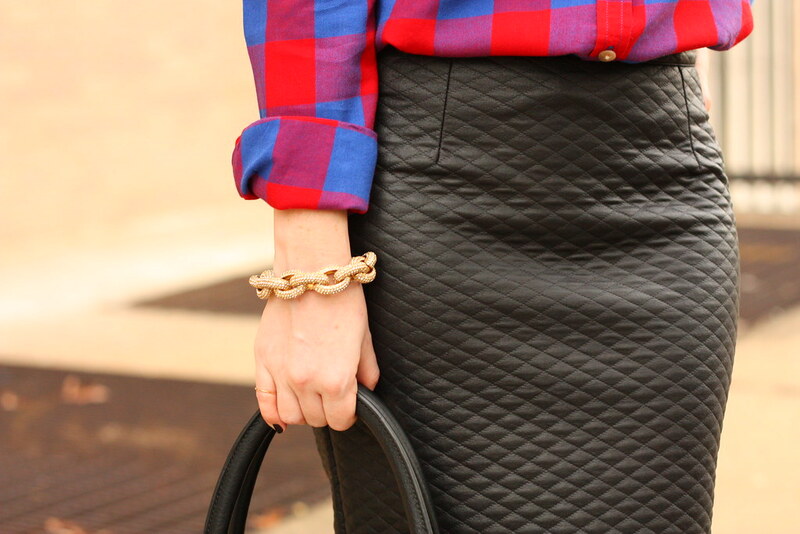 LOVE the plaid and leather combo! You look stunning! Looking fab, girlfriend! Blogged about you yesterday- I almost solely blame you for inciting the obsession I have with plaid this season! ;) LOVE this shirt so much! 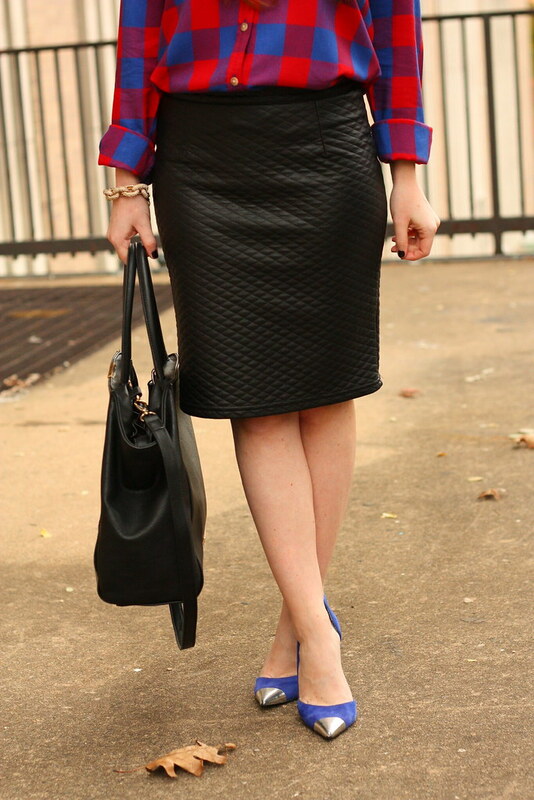 Love the plaid and leather! Such a great combo! Very cute. I love that skirt!